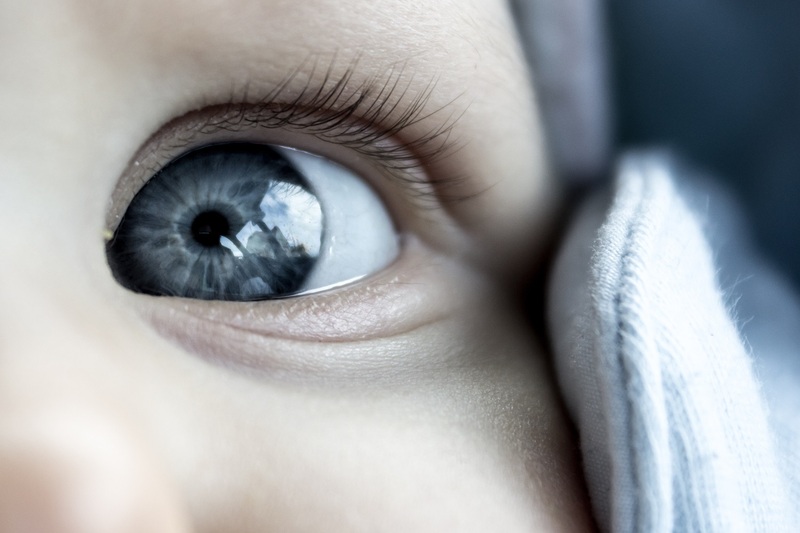 If you and your spouse have blue eyes, your child will very likely have blue eyes. If you both have brown eyes your child will likely brown eyes. If there are grandparents with blue eyes, odds for blue go higher. If you and your spouse have different color eyes, the odds are even for blue or brown. If you want to really get into eye color, you can find eye color prediction tools online. Just search for “predict baby’s eye color.” But remember, the best these tools can do is give you a prediction. American Academy of Pediatrics, Newborn Eye Color. Stanford School of Medicine, The Tech Museum of Innovation, Eye Color. Science Daily, Blue-eyed humans have a single, common ancestor. Genetics Home Reference, Is eye color determined by genetics?